If you leave Stowmarket on the road to Sudbury, you pass a fine Victorian park before the anonymity of a 1960s estate underwhelms you. The subsequent school on the right is a good one, but keep your eyes open for something a little beyond it, obscured by a high hedge. There, set back from the road, is something that looks like nothing so much as an 18th century stately home. For many years, it was Stow Lodge hospital. 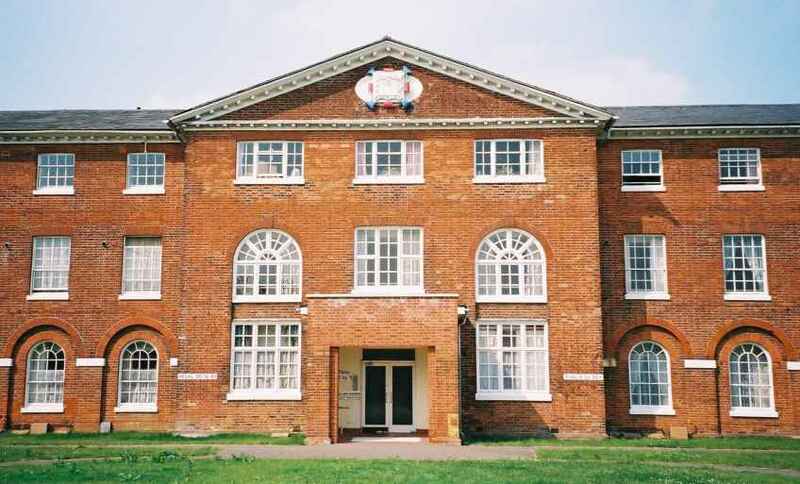 Today, it serves as living accomodation for a housing association, but when it was built in the 1780s it was as the Stow Union House of Industry, later becoming the Workhouse. You won't realise it, because of the 1960s houses all around, but you have, in fact, left the borough of Stowmarket at this point. 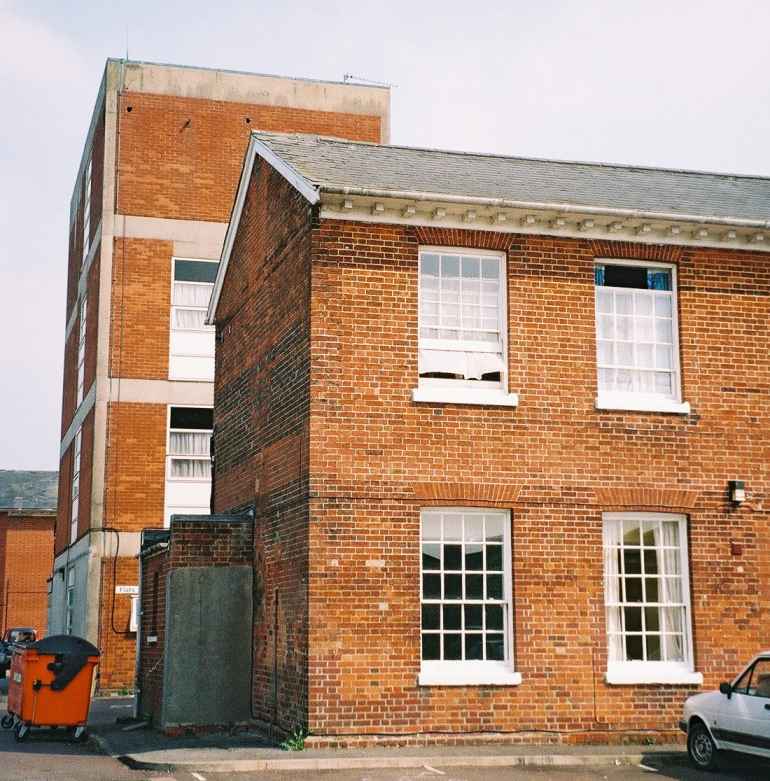 The borough boundary runs along the east of the workhouse site, and the great pile was built in the parish of Onehouse. However, Onehouse village is a couple of miles off to the west, and the workhouse stood in splendid isolation on this hilltop site. As is usual with Houses of Industry, things went from bad to worse. In the 1830s, welfare 'reform' meant a hardening of the workhouse regime, the separation of husbands, wives and children (this was accomplished by the chilling concept of 'classification') and the institution became less of a safety net and more of a living hell. You can read more about the effects of the 1830s on the entry for Bulcamp workhouse chapel. The cure of the souls of the paupers usually fell to a local Anglican clergyman, who might pick up an extra £50 or so a year for reading a service each Sunday. This would usually be done in the dining hall, with the men on one side, the women on the other, and the children at the front. Perhaps it was some comfort. 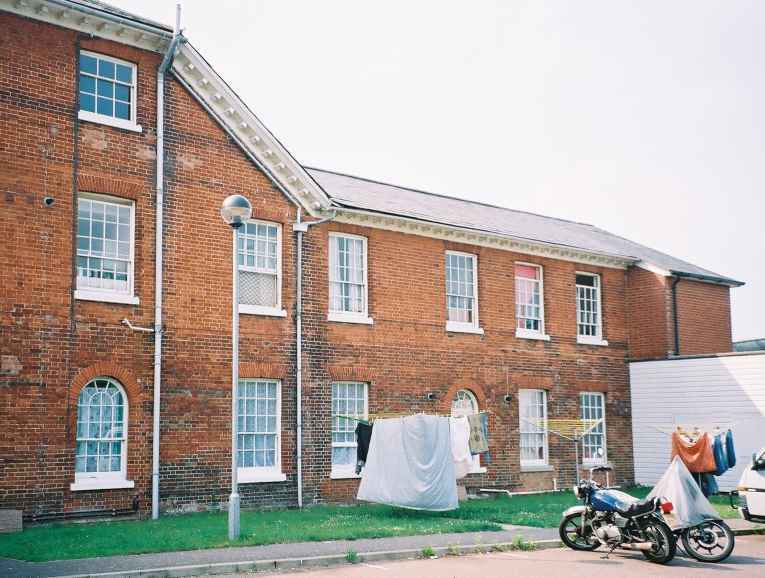 By the 1860s, with reform now swinging the other way and care of the helpless becoming more humane, many workhouses built chapels, some of them rather fine, as at Shipmeadow. Back in 1851, at the national census of religious worship, very few workhouses had made separate returns; but Stow Union workhouse did, which suggests that it had a separate chapel at an early date. As someone with a particular interest in workhouse chapels, I have a slight problem with this. I can't find the chapel on any maps or plans. 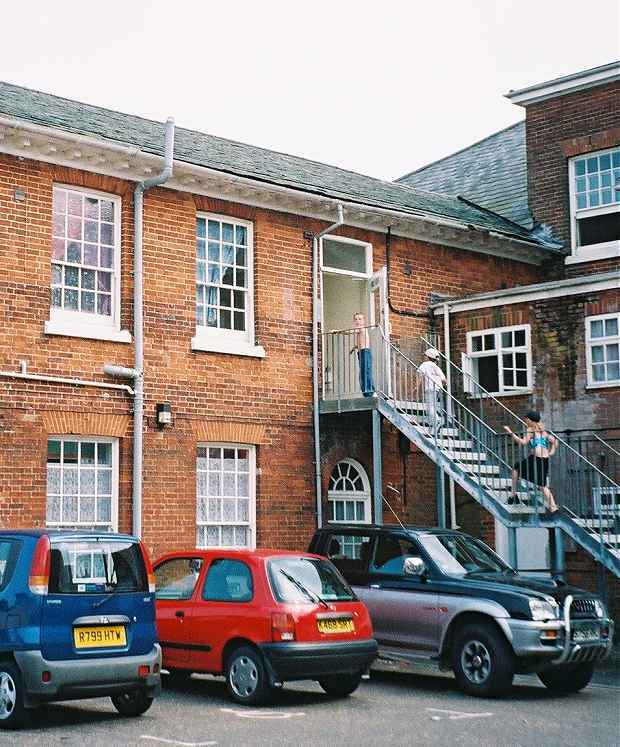 In the 20th century, the building was used as a hospital for many years, and there was a certain amount of peripheral building; however, nothing on the 1904 OS map appears to be missing today. So my prime suspect is the single story extension on the north-west corner of the building. This has a footpath from it leading to the infirmary and burial ground. The workhouse site today is open to the public. You enter by what was the main drive, and are then diverted to new car parks to the east. 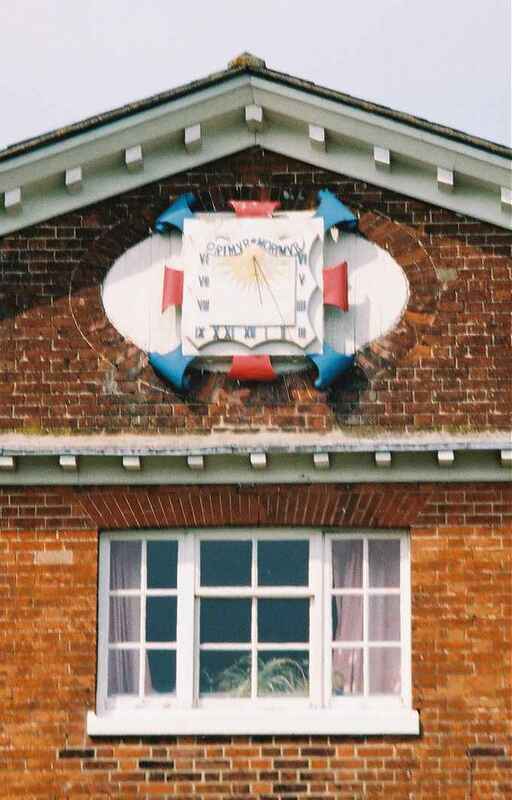 Above the main entrance is a sundial, and the inscription Orimur Morimur ('we have risen and we set'). At the back of the site is a startlingly ugly 1970s four-storey utility block, and beyond that a fine 1990s day centre. Keeping on anti-clockwise around the main building, and you eventually come to the extension pictured above, which I believe to have been the chapel. Another curiousity is that there are two first floor extensions on the north side that don't have ground floor extensions. Instead, they are supported by cast iron pillars. Answers on a postcard, please. The chaplain at the time of the 1851 census was a man called Frederick Freeman. He was also Vicar of Little Finborough, and got £50 a year for his work at the workhouse (about £10,000 in today's money). However, he seems to have received nothing at all for his work at Little Finborough. Indeed, he moans at some length on the census return, and not unreasonably, that Kings College Cambridge took all the tithes, great and small, despite the fact that by ancient rights a portion belonged to the church. He also said they had not paid anything at all to any officiating minister for the previous two and a half years! It would be fascinating to know more about this Trollopeian character. As I was taking photographs, a group of children congregated to watch. A scruffy little girl shouted "What you takin' pictures for, mister?" I swear she called me mister. 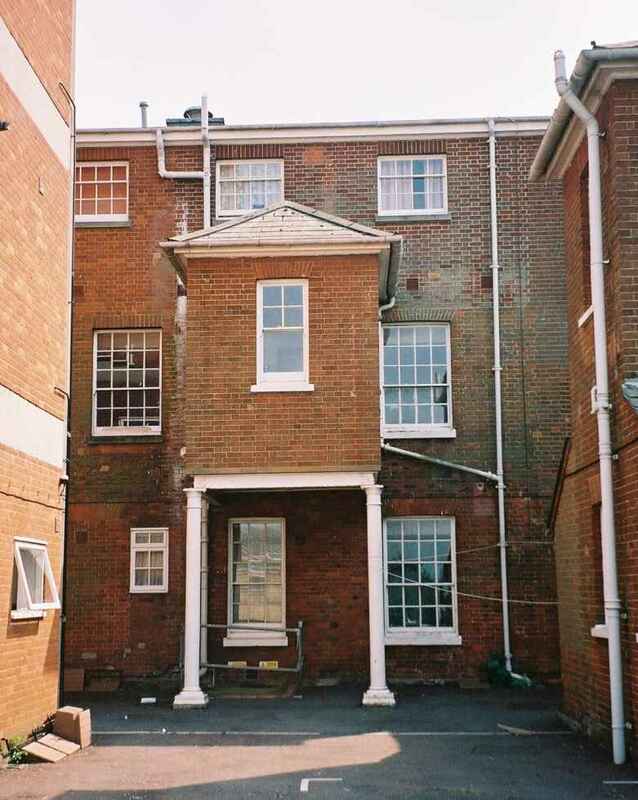 I told her that the building she lived in used to be the old workhouse. "Yeah", she said. "An' it used to be the hospital an' all, where they cut dead bodies up an' that!" It was good to find someone so young with a strong sense of place. 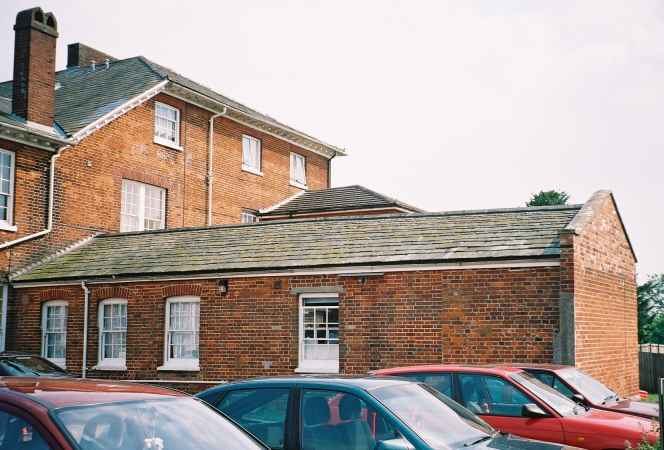 The former Stow Union Workhouse can be found on the road to Onehouse, to the west of Stowmarket town centre. The signs to Stow Lodge hospital are still in place. The site is accessible to the public. The best source of information about workhouses, and in my opinion one of the best websites on the internet, is Peter Higginbotham's www.workhouses.org.uk.You can also go directly to his entry for Stow.